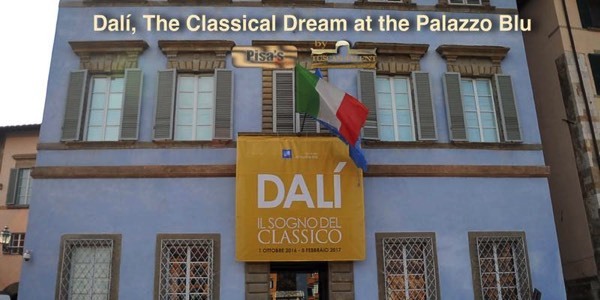 The Palazzo Blu, Pisa is currently exhibiting more than 150 major works taken from the Spanish artist, Salvador Dalì’s huge output of around 1500, on loan from museums in Florida and Spain. It has been organised in collaboration with the Fundación Gala-Salvador Dalí and MondoMostre and curated by Montse Aguer i Teixidor, to give a detailed and critical insight into the life and works of this extraordinary artist. 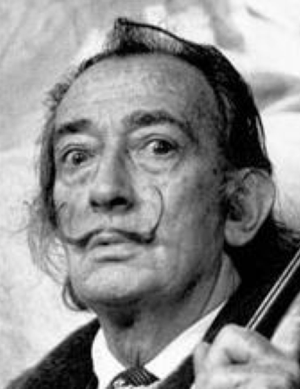 Known to most as a Surrealist, Dalì is one of the most easily recognized and most controversial characters of the 20th century. His eccentricities included his famous waxed moustaches, his flamboyant style and behaviour and the strange and often bizarre images found in his paintings. However, there is no doubt that he was a profoundly serous about his art and his genius made him one of the most influential artists of the 20th century. The exhibition looks at some of the influences that made up his character. He was born in 1904 in Figueres, near Barcelona into an affluent family, 9 months after the death of his brother. Strangely, his parents told him that he was the reincarnation of his brother; a fact that he tended to believe. This, along with his mother’s early death had a profound effect on him, as did his beloved Catalan countryside, which we can see in the early landscapes on display. The other big personal influence was that of his muse and wife, Gala who appears in many of his paintings. I particularly liked those set in one of his favourite haunts, Port Lligat, which is on the coast near Cadaqués. 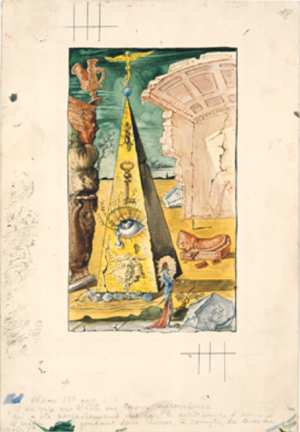 They were painted after the two of them had returned to their house there after their stay in the US during and after WW11 and illustrate Dalí’s profound fascination with mysticism and religious symbolism. 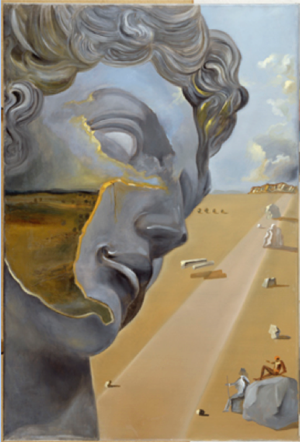 All artists look to the great masters of the past when learning their trade and Dalí was no exception. He was fascinated with Classical and Italian Renaissance art and drew much inspiration from the sculptures of Michelangelo and the paintings of Rafael. He was able to show how contemporary art could evolve out of an in-depth knowledge and respect for the great artists of the past. He was himself a true Renaissance man with many other creative outlets and while he was in the US began designing jewelry, sets for the theatre and working in fashion design with Chanel etc. He worked too on sculpture, printmaking, advertising, writing, and film making with directors like Alfred Hitchcock. He embraced the changes in the world around him and having met Freud was interested in the importance of dreams and the subconscious when creating art, both of which are aspects of Surrealism. He was also interested in the psychology of paranoia. 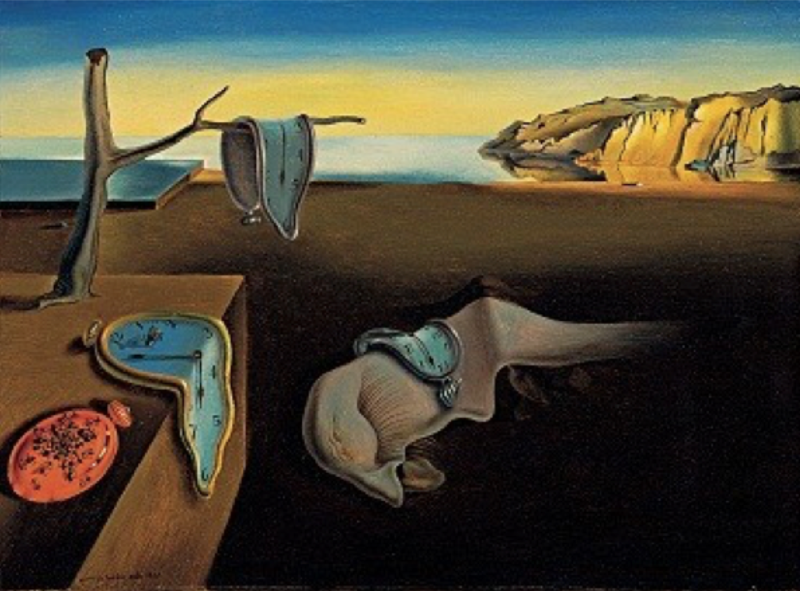 Several of his paintings reflect this and are symbolic of an anxiety over the passage of time and together with Einstein’s theory of relativity suggest that time is relative and not fixed. The rooms dedicated to paintings inspired by Raphael, Michelangelo’s sculptural masterpieces and drawings and watercolours depicting the legendary life of Benvenuto Cellini are particularly fascinating. This is an illustration for the autobiography of Benvenuto Cellini. 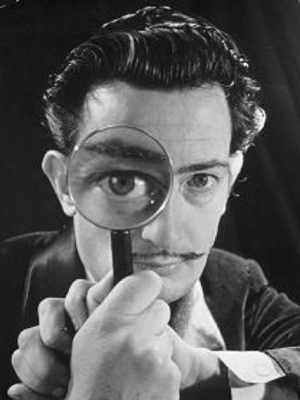 The exhibition explores Dali’s constant search for technical perfection, his interest in science and technology and later in life, his pursuit of immortality. The ticket price includes an excellent audio guide and all explanatory notes are written in Italian and English.